Erica’s life seems to be falling apart when she catches her husband having an affair. But just as things are becoming difficult for her, she gets a call from her old friend Jude who drags the past back into Erica’s life. And all of a sudden Erica’s problems are much more dire than her marriage falling apart. Jude, a former party girl, has recently become a devout Christian and is trying to repent for all her sins. Unfortunately, she wishes to confess to her involvement in something that Erica has tried to forget. Sixteen years ago, Jude, Erica and Grace were college roommates. Now, Grace makes documentary films, and Jude’s wish to confess would certainly have a major effect on Grace’s life. When the truth about the past could have life altering consequences for all three women, is it worth it to risk telling the truth? And what if the people don’t want to know the what really happened? When one person’s actions years ago has had a rippling effect for these three women, they will have to finally confront the past. I’m going to do my best to make this review spoiler free, even if that means excluding a major part of the plot. 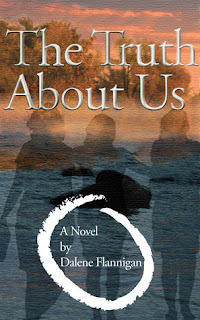 Before I started reading The Truth About Us, I imagined that it was going to belong to the Romance or Chick Lit genre. Instead, this intense and dramatic book dealt with a lot of serious issues and became impossible to put down as the story progressed. This was a quick read that was thought provoking. I took Women’s Studies in University and this would have been a perfect book to read since there is so much to discuss. The narration switches between each woman every chapter, with Grace’s chapters told in first person and Jude and Erica’s in third person. At first I was sceptical of the switch between first and third person, but in the end it worked quite well. While Jude felt like a bit of a caricature, Erica and Grace were great characters. While they felt real, it also felt like I didn’t know them as well as I could have, but that may have been because of the book’s length. The plot was well paced, although in retrospect the ending might have been a bit anti-climactic, although it didn’t feel like that while reading. I know some people don’t like to read independently published books, but this book is worth making an exception for. Well written and gripping, The Truth About Us was an enjoyable read that I’d definitely recommend.